With the passing of the New Year’s holiday and the start of 2017, many American expats living in foreign nations like the United Kingdom, Brazil, China, or Saudi Arabia should begin to turn their attention to satisfying their annual tax obligations. Taxpayers who begin to consider their potential tax obligations early in the year are often better positioned to minimize double taxation and other challenges that may arise. Furthermore, 2017 brings changes to the filing procedures for certain offshore reporting obligations. This includes an expedited deadline falling much earlier than in past years. Thus, expats should begin considering their 2017 tax filings as soon as practicable. For more than 30 years, CPA Ted Kleinman has helped American expats satisfy their tax obligations. At U.S. Tax Help, Ted can assist you with income tax, FBAR, FATCA, and other U.S. and international tax obligations. To discuss your tax concerns and to take the first steps to getting your U.S. and international taxes under control, schedule an appointment today to schedule a no-cost consultation. 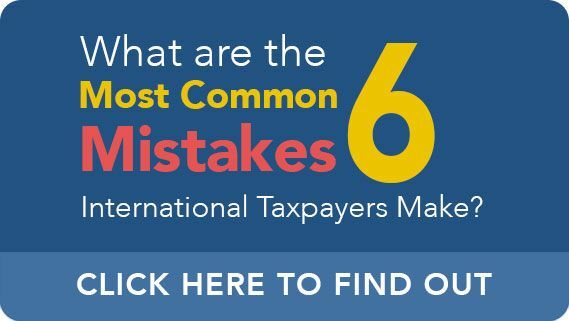 Whether you are a U.S. taxpayer, business, or an expat who is running a foreign business it is highly likely that you have an obligation to file and pay income taxes. This is because the amount of money one can earn before this obligation is triggered is extremely low. Furthermore, income earned in both the United States and abroad are relevant and included in tax considerations. Thus, there are often two main initial tax concerns for U.S. expats. 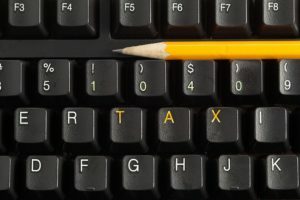 First, expats are often concerned with when the tax filing and payment deadline is. Second, expats often have questions regarding how they can minimize the potential for double this taxation. As to the first question, the normal tax deadline typically falls on April 15th. 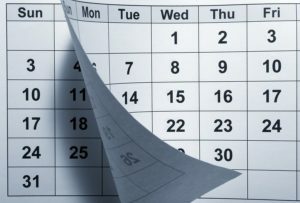 However, in 2017, April 15th falls on a weekend and a federal holiday on the following Monday pushes the initial filing deadline to April 18, 2016. However, qualifying expats living abroad can automatically qualify for a two-month extension of time to file taxes further pushing the deadline to June 15, 2017. As to minimizing potential double-taxation, Ted can assess whether tax treaties provide relief. Many expats find it convenient or necessary to hold foreign assets or foreign accounts. Unfortunately for American expats who hold foreign accounts and assets, additional informational reporting obligations can apply. In particular, taxpayers should be certain to assess whether a Report of Foreign Bank Account (FBAR) or Foreign Account Tax Compliance Act (FATCA) obligation exists. While the FBAR obligation can be satisfied by filing FinCEN Form 114, an FBAR obligation can be satisfied by filing IRS Form 8938. Even an accidental failure to file FBAR or FATCA can be punished harshly. Unfortunately, changes to the FBAR obligation make it more likely that taxpayers will miss the filing deadline and incur penalties. This is because the FBAR filing deadline has been moved up from its traditional due date of June 30 to be aligned with Tax Day. Thus, starting in 2017, FBAR disclosures are due on the same day as one’s income tax. Thus, in 2017, that means that FBAR should be filed by April 18. However, while the deadline to file FBAR has been moved up, certain other changes should hopefully minimize the impact of the expedited filing duty. For instance, 2017 is the first year where taxpayers can file for an extension of time to file FBAR. Thus, a taxpayer who is living abroad and diligent in requesting an extension of time to file can theoretically push their FBAR deadline to October 17, 2017. As in years past, the FATCA obligation is also due on Tax Day and similar extensions of time to file are available. If you have tax concerns, CPA Ted Kleinman and US Tax Help may be able to assist. Ted can ensure that all income tax and offshore tax reporting obligations are faithfully fulfilled. Furthermore, Ted can assess whether it is appropriate to make foreign tax credit or foreign earned income exclusion claims to reduce one’s exposure to double taxation. To discuss your tax concerns in a no-cost consultation, call Ted and U.S. Tax Help at (541) 923-0903 today.